This page will keep you up to date with the work being carried out by the Marlborough Primary School anti-bullying team. Dorthy Maddison from Sunderland Local Authority visited our school this term and meet with the Anti-bullying team. They showed her around and carried out a presentation explaining what we do in school to make sure that everyone feels safe, respected and listened to. Dorthy was so impressed with everything we do, she awarded our school the Gold anti-bullying award! We've had a very busy term so far. A new set of anti-bullying ambassadors were selected and Miss Gibson also agreed to join the team. The anti-bullying ambassadors attended the annual children conference at Washington School and used what they learnt to develop a presentation to share with the rest of the school during Anti-Bullying Week. The team agreed on the activities that classes would be carrying out during Anti-Bullying week and shared this with staff. The whole school got behind the theme of 'All different, All equal,' and created some fantastic pieces of work. The team worked hard to celebrate this work with a new corridor display that they designed and created themselves. Along with the Chair of Governors, the team had the tricky job of deciding which anti-bullying posters to submit to the Sunderland City Counsel poster competition. The anti-bullying team reviewed the results of the anti-bullying questionnaire which pupils, staff and parents completed. They helped to create a plan of action to improve results over the coming year. Anti-bullying began with the story ‘How full is your bucket’ altogether. The story presented the idea of everyone having an invisible bucket which when full, makes you feel great but when empty, makes you feel awful. It introduced them to the idea of being bucket fillers rather than bucket spillers and since then the children have been seen and heard around school congratulating each other for showing acts of kindness that place drops of water in other children’s buckets. As the national theme for Anti-bullying week was ‘Power for good!’ in house-time everyone focused on offering good examples of how to fill others’ invisible buckets. These water droplets of advice have been used as part of our new anti-bullying display which can be found in the main corridor. The Anti-bullying team designed a bucket fillers pledge, which everyone in school has agreed to honour. Each class were tasked with creating anti-bullying poems, which were then whittled down to a single entry from each class by the anti-bullying ambassadors. The final tricky decision was then given to our Head Teacher, Mrs Ford. Mckenzie Mason's entry was chosen because of its clear message about bullying and what it feels like to be bullied. Well done Mckenzie. Our new anti-bullying ambassadors were introduced to the rest of the school during celebration assembly. Since doning their anti-bullying ambassador bibs they have been found every playtime on the yard carrying out their role with enthusiasm. NSPCC introduced the 'Speak out and stay safe' programme to the whole school. They shared essential safeguarding information in an interactive way to help our pupils feel empowered to speak out about their worries. Buddy the NSPCC mascot helped our pupils to understand abuse in all its forms and recognise the signs of abuse, to know how to protect themselves from all forms of abuse and know how to get help, and the sources of help available to them, including the Childline service. The new anti-bullying ambassadors team attended a training event held at Washington School. They discussed risks that young people might face and how to help other identify and tackle these risks. They has a thoroughly enjoyable time and learnt lots that they will be able to put in practise in their new role. The anti-bullying team received their high viability jackets, to make them easily identifiable on the yard at play times and lunch times. Feedback from pupils and staff has been very positive, with many pupils saying they now finding it easier to know where to turn to, if they need the help of the anti-bullying ambassadors. The anti-bullying team met with Dorothy Maddison, who is the Anti-bullying Leader for Sunderland. As well as carrying out some training on how to be an effective anti-bullying ambassador, she helped the team come up with a plan of action to ensure that we are meeting all the criteria for the anti-bullying silver award. Check out the pictures taken during anti-bullying week which the anti-bullying team helped to organise and run. 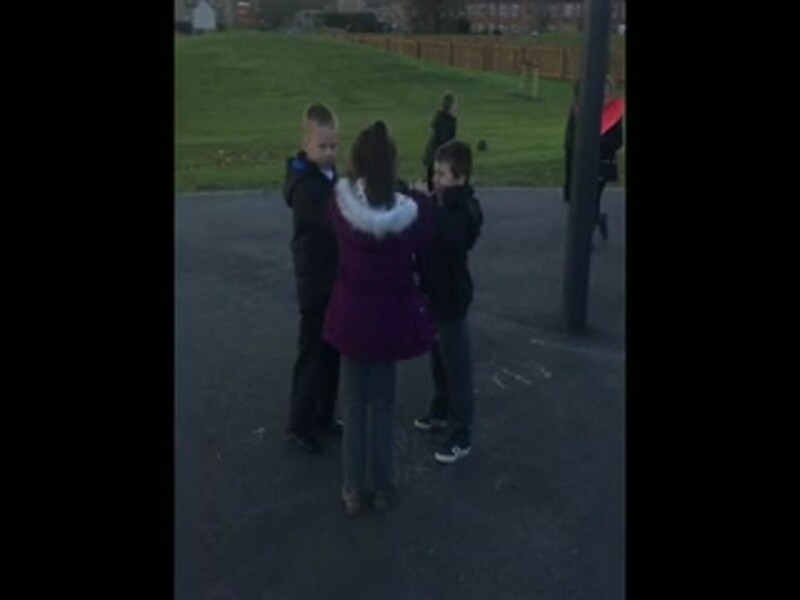 During Anti-bullying week, each class were tasked with creating an anti-bullying video that promotes a positive anti-bullying message. These videos were when judged by our team of 7 anti-bullying ambassadors. They decided that this contribution from Year 2 would be the winner because it clearly showed that every time someone is unkind or does something hurtful, that makes the victim’s heart shrink. The video also shows the ways in which a victims heart can be helped to grow again, thought acts of kindness. Karys and Jack were appointed as Chairperson & Secretary for ABT meetings. We talked about the different ways we could make everyone aware of the anti-bullying team and agree what our first whole school event would be - an assembly. We discussed our ultimate aim 'to continue to be silver anti-bullying award holders'. Miss Taylor, who is the anti-bullying leader, took five members of the anti-bullying team to the children's anti bullying conference at Washington School. The theme of the conference was e-safety and diversity. The team looked at how to stay safe when using the Internet, tackle cyber bullying and why its important to celebrate diversity in each other. The anti-bullying ambassadors came away from the event with lots of ideas which will be shared with the rest of the school as part of anti-bullying week. A copy of their notes can be found below.